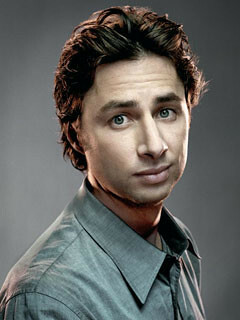 Zach Braff is known for his comedic portrayal of John 'J.D.' Dorian on the NBC series Scrubs. Watching his father participate in community theater cultivated an appreciation for the performing arts at a young age. Soon Braff began appearing on television. His lifelong experience blossomed in 2004 with Garden State, a film he wrote, directed, and starred in. He also voiced the title character in the animated film Chicken Little.